When you visit temples in “Yanesen” area, you should not miss “Yanaka Shichifukujin Meguri” which is a tour of Seven Deities of Good Luck. 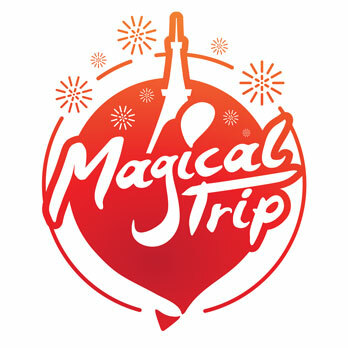 You will be granted good luck by visiting temples where 7 deities are enshrined so that many people do the tour. 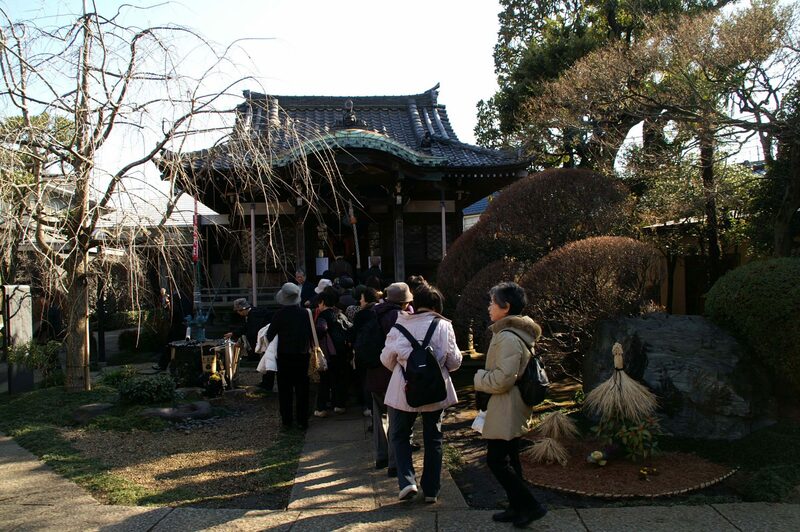 In this issue we introduce “Yanaka Shichifukujin Meguri” and those temples. In Yanaka, one of Yanesen area, each of 7 deities called “Shichifukujin” is enshrined in separate temple. It is still a local customary to visit those 7 temples in the New Year. There are other “Shichifukujin Meguris” in Tokyo not only in Yanaka, but the one in Yanaka is supposed to be the oldest with a history of 250 years. Many pilgrims pray for good luck in the New Year. 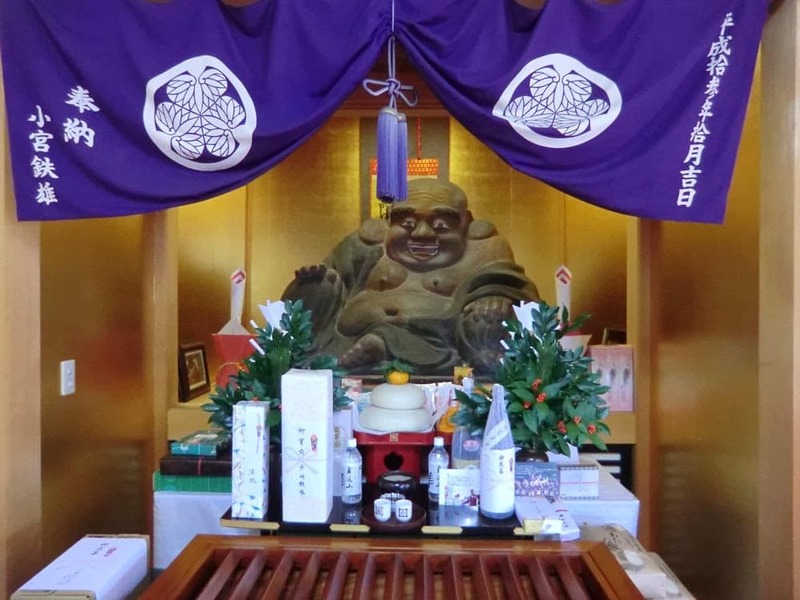 “Yanaka Shichifukujin” are namely “Fukurokuju” deity for popularity enshrined in “Tokakuji” Temple, “Ebisu” for rectitude in “Seiunji” Temple, “Hoteison” for generosity in “Shushoin” Temple, “Bishamonten” for integrity in “Ten-noji” Temple, “Jurojin” for long life in “Choanji” Temple, “Daikokuten” for fortune in “Gokokuin” Temple and “Benzaiten” for art in “Shinobazuike Bentendo”. Among the temples in Yanaka, “Tennoji” Temple is famous for its history. “Bishamonten” (a deity) which grants you fortunes and braveness, is enshrined here. This temple used to sell “Tomikuji” equivalent to a lottery today and to attract many people more than 200 years ago. In Tokyo there were three temples selling “Tomikuji” (a lottery) who were called “Edo-no-Sanbu” (Three fortunes in Edo ). 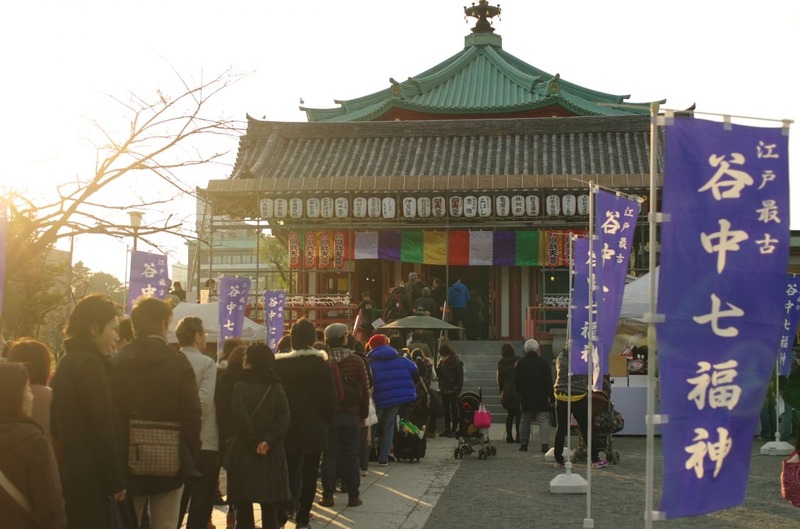 Why not visit “Tennoji” Temple to get a good fortune? ３．”Choanji” Temple, small but with full of cultural properties. You can meet the deity for good health. “Choanji” Temple is small yet supposed to be the most historic. It has a lot of characteristic tastes. “Jurojin”, a deity for a long life is enshrined here. It is said that you will be granted good health and safety by praying there. Historically it is very important too because there are many cultural properties in the precinct such as “Banhi” (a pagoda for memorial services), a tomb of Hogai Kano, a famous Japanese style painter, etc. “Yanesen” is a collective name of three main areas, “Yanaka”, “Nezu” and “Sendagi”. Having an ambiance of old down town of Tokyo, it recently attracts many tourists.